French 19th Century Napoleon III Style Mahogany Armoire. 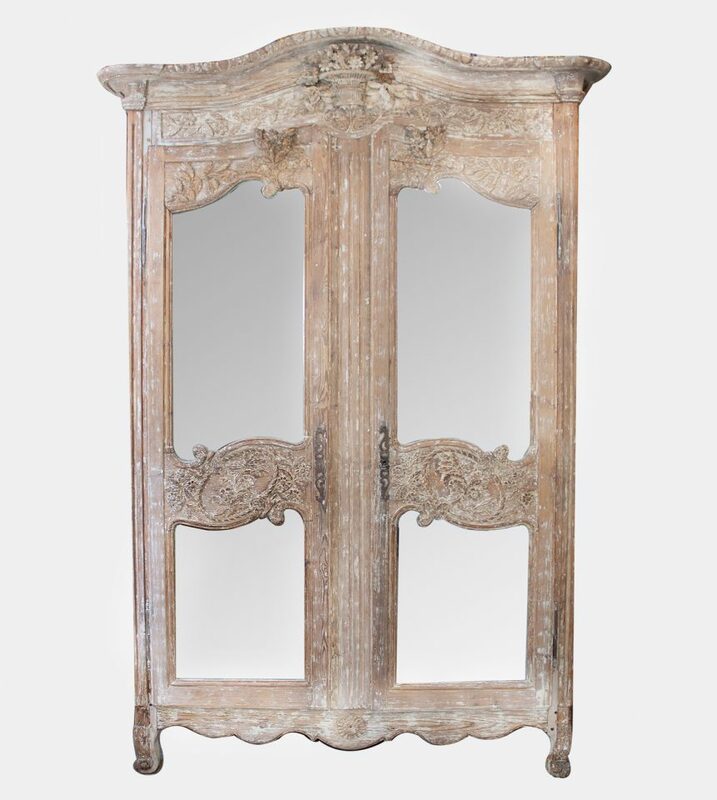 An exceptional French Napoleon III Style two door armoire in mahogany with the original beveled mirrors. The armoire has 4 shelves and two drawers. A very architectural design with all original gilt. H 230 cm. W 130 cm. D 45 cm. This armoire is in very good condition for an antique having been restored and polished. There may be minor surface imperfections consistent with age and use but there are no mechanical or structural issues.